Long before Julia Child became a celebrity chef, she and her husband Paul Child lived in Paris, Marseille and the French countryside after WWII. This week, Napa Valley Museum presents a world-premiere exhibit, ‘France Is a Feast,’ that features rarely seen black-and-white photographs taken by Paul Child in France between 1948 and 1954. Inspired by the new book of the same name, this art show also features an audio tour to deepen the experience. 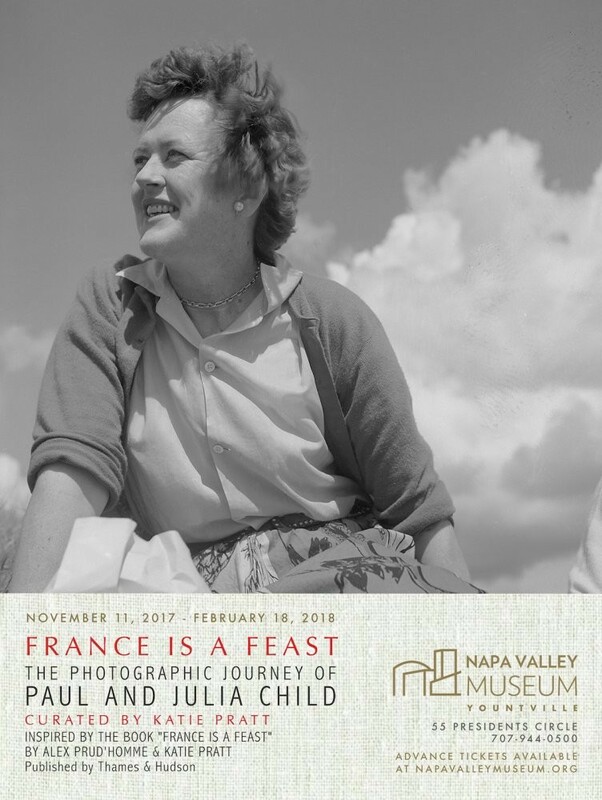 France Is a Feast authors Alex Prud’homme and Katie Pratt will be on hand for an opening reception on Saturday, Nov. 11, 55 Presidents Circle, Yountville. 5pm. $20. 707.944.0500.